With one of the most recognisable faces in world rugby, Bob Skinstad has joined forces with Itec Innovate (Pty) Ltd as Director and shareholder. Itec Innovate is a vibrant Business Solutions & Service company and is part of the fastest growing office automation company in South Africa – the perfect fit for this dynamic business entrepreneur! Bob’s passion for the game continues with his introduction and establishment of The Cape Town Tens which is a firm favourite on the Cape Town sporting and social calendar and one that draws rugby teams from around the world for this first class event. With a huge heart for social upliftment, Bob has been an innovator with a number of projects including the Bobs for Good Foundation, now better known as the Put Foot Foundation, providing shoes to thousands of needy young school children and he hopes to soon be providing their schools with the technology that is so desperately needed in these environments. Bob is a respected business owner and entrepreneur and has enjoyed numerous business interests over the years. 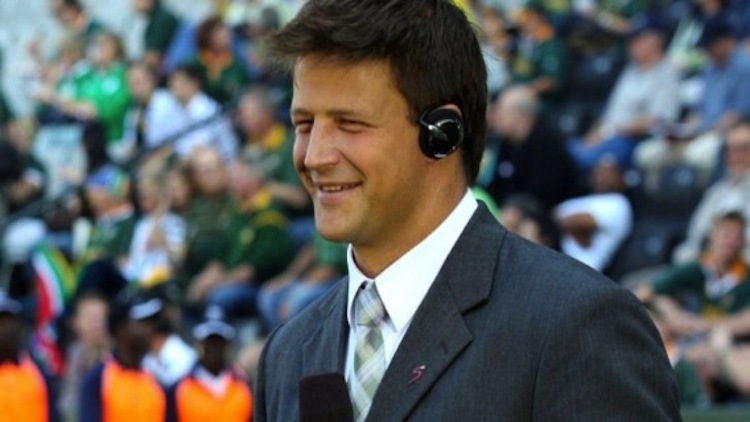 He forms an important part of the broadcast team at Super Sport where he commentates and engages with his audience in an informed and knowledgeable manner. He is in great demand as a regular key note speaker and celebrity guest at corporate functions. Bob is happily married to Debbie and is the proud dad of three young children, Anna, Tom and Charlotte, and loves to relax by fishing, surfing and enjoying good “down time” with his family and friends.